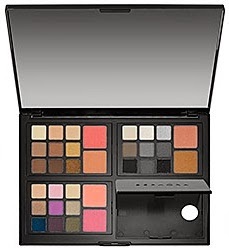 This sleek, customizable set contains three unique eyeshadow and blush palettes that pop out, and includes one empty palette to take your favorite colors on-the-go. 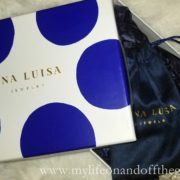 Each palette contains expertly coordinated shades in a variety of matte, shimmer and glitter finishes for neutral, smoky or colorful looks. 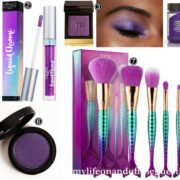 Each palette includes a 3-page lookbook and face charts for step-by-step instructions to achieve 3 looks, or experiment and create your own. 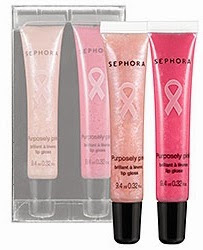 Sephora is donating $2.00 from the sale of the BCRF Makeup Made Simple Palette to The Breast Cancer Research Foundation®. Making up on-the-go is chicer than ever with this travel-friendly set of five makeup brushes in a pink faux-snakeskin clutch. 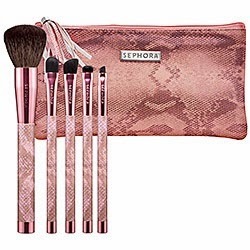 Complete with five must-have brushes that feature pink faux-snakeskin handles and metallic pink ferrules, the Flat Powder, Angled Shadow, Domed Shadow, Smudge and Angled Liner brushes make an elegant statement. 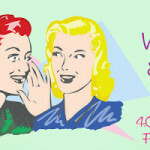 $1.00 from the sale of the BCRF Together in Pink Brush Set is being donated to The Breast Cancer Research Foundation®. Fun and functional, these no-tug hair ties are a great addition to any makeup or gym bag. With four different fabric textures in each set, including satin, sheer, and two glitters, they add a stylish, feminine touch to any hairstyle. 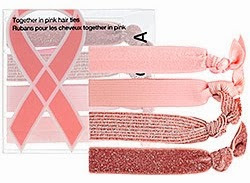 $1.00 from the sale of every Together in Pink Hair Ties goes to The Breast Cancer Research Foundation®.